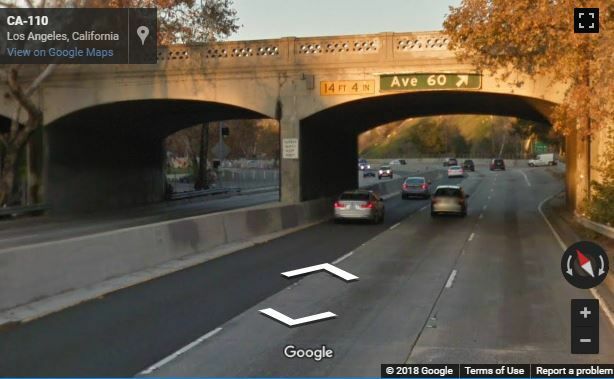 Highland Park — Some of the northbound lanes of the Arroyo Seco Parkway (110 Freeway) were shut down late this afternoon during rush hour traffic after a person jumped or fell from the Avenue 60 overpass on to traffic lanes below, according to early reports from police and fire officials. 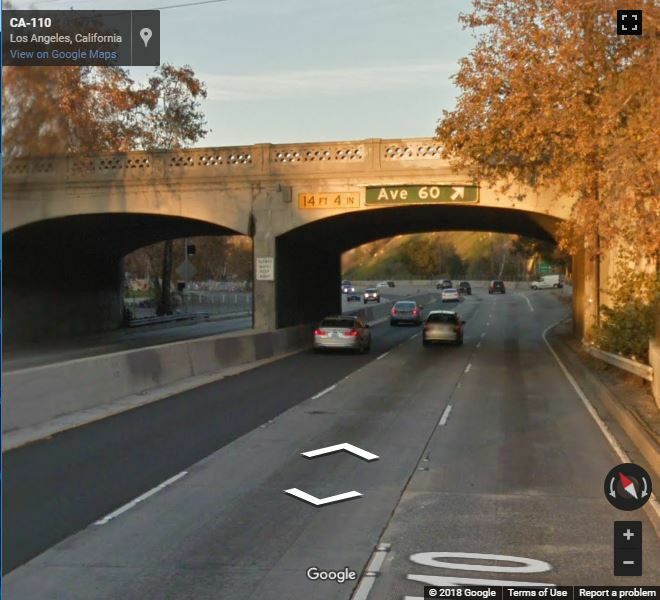 Residents were advised to avoid the area as police investigated a fatality at the scene, the LAPD Hollenbeck Division said on Twitter. A spokeswoman for the L.A. Fire Department said the department was called to the scene at about 4:40 pm but the person had already fallen or jumped by the time firefighters had arrived. Update @ 7 pm: City News Service reports that the male victim was struck by a vehicle after hitting the pavement. The driver of the vehicle stopped after the collision.